The McLaren Group is a British conglomerate based in Woking, Surrey, United Kingdom. Founded by Ron Dennis shortly after his acquisition of the McLaren Formula One team in 1981, it was originally named the TAG McLaren Group due to a partnership with Mansour Ojjeh's TAG Group. It was renamed to simply the McLaren Group in 2003, then to McLaren Technology Group in 2015, before reverting back to McLaren Group in 2017. The group was originally formed from a Formula One team established by New Zealander Bruce McLaren in 1963 and is now focused around the McLaren Honda Formula One Racing Team, the group's second most profitable company. 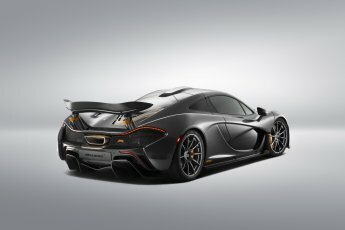 The company hoped to expand its market from Formula One to manufacturing cars with its launch of the successor to the McLaren F1, the McLaren P1 and has since produced seven more models. In recent years, the group has branched out to other precision manufacturing areas, such as motorised devices for the solar and wind industries. For three years, McLaren Group's technology subsidiary McLaren Applied Technologies worked closely with GlaxoSmithKline. Together they also planned to open a new building at the McLaren Technology Centre, called the McLaren-GSK Centre for Applied Technology. In June 2017 it was announced that Dennis had sold his 25% shareholding in the McLaren Technology Group back to the other shareholders, in addition to his shares in McLaren Automotive. 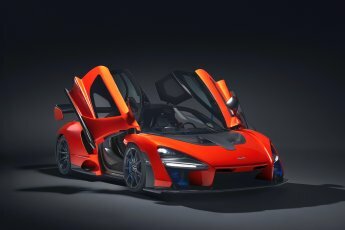 The group then merged with McLaren Automotive, reverting back to its previous McLaren Group name.